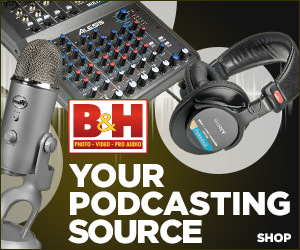 I am a multi-nominated podcaster who has been podcasting since 2005. I'm am a featured/keynote speaker at events, author of the book More Podcast Money, and I served as the Director of Podcasting for the New Media Expo. I am not an audio snob.